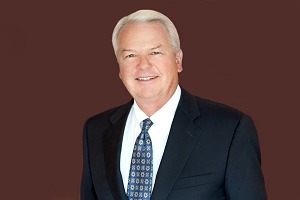 J. Dave Hunter – Financial Designs Ltd.
J. Dave Hunter founded Financial Designs Ltd. (FDL) in 1970 and served as President and CEO until he moved into the Chairman role in 2017. Dave manages new client development and helps FDL’s long-time clients in wealth preservation and estate planning. Dave majored in accounting and finance at the University of Colorado and continued his studies with a Master of Science in Financial Services. His other professional designations include Chartered Life Underwriter (CLU®) and Chartered Financial Consultant (ChFC®). He is also an Accredited Estate Planner (AEP®) through the National Association of Estate Planners. Dave has served as President of the Denver Estate Planning Council, the Rocky Mountain Chapter of the Society of Financial Service Professionals, and the Denver Chapter of NAIFA. He also serves as a Trustee for the Boy Scouts of America and is a board member for Colorado UpLift. Dave and his wife, Margie, live in Cherry Hills Village, Colorado. In addition to golf and traveling, they enjoy time with their three daughters and their families.